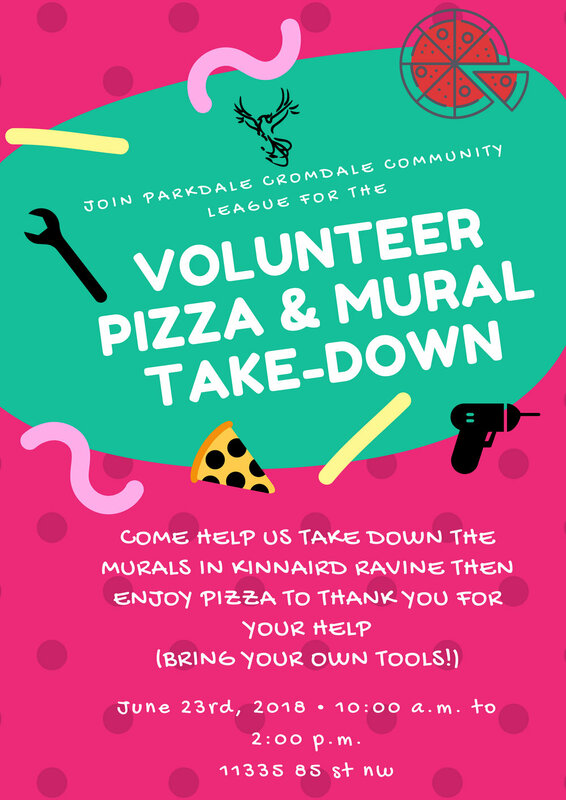 Come help the PCCL take down the murals in the Kinnaird Ravine and bring them back to the community league to sand and prime. Your work will ensure that the plywood is ready for our community members around the area to re-paint! Plus, there's nothing like free pizza in between your work. Please bring your own tools, specifically drills. See you there!